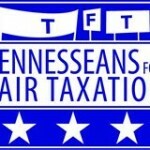 Working Films, United for a Fair Economy, and partner organizations throughout Tennessee are embarking on a collective process to support organizing for economic justice and the move toward resilient and sustainable communities in the state. Together we developed and launched a six city screening tour featuring Citizen Koch, The Hand That Feeds, American Teacher, Inequality for All, Freedom Summer, and Blood on the Mountain. 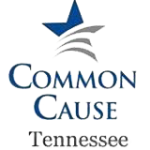 In 2016, in partnership with leaders from across the state, we will launch a participatory storytelling and organizing campaign called “Tomorrow’s Tennessee”, to challenge social and environmental injustice in the state. “The crew at Working Films provide a much needed service for the working folks in our communities. I commend you for your passion, diligence, perseverance, professionalism, social awareness, and activism with those in our society whose voices are rarely if ever heard."